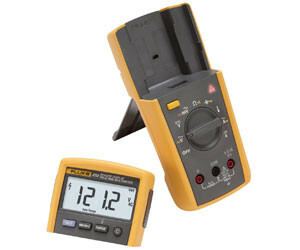 The Fluke 233 Digital Multimeter features a removable display which gives the user flexibility in unusual measurement scenarios. It is available to rent from TechRentals. Users can simply put the meter where measurements are required and place the display where it can be seen easily. This functionality eliminates the need to juggle leads and the meter while reaching into confined spaces. With a range of 10 m, the removable display allows for measurement in hard-to-reach spaces and machines or panels that are physically separated from a limit or isolator switch. It can also be used in environments unsuitable for operators such as clean rooms or hazardous areas. The product features True-RMS AC voltage and current for precise measurements on non-linear signals. It can measure up to 1000 V AC and DC, up to 10 A (20 A for 30 s), and has a capacitance range of 10,000 μF. 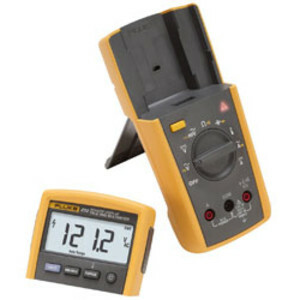 I am interested in Fluke 233 Digital Multimeter with remote display .